Commissioned by AFP - Published in the Guardian. 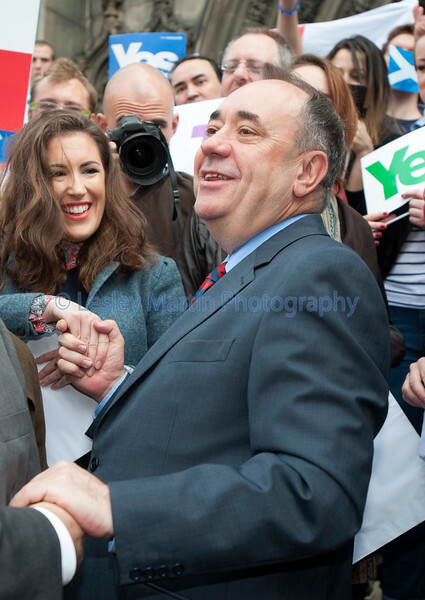 First Minister Alex Salmond met with Scots and other European citizens to celebrate European citizenship and 'Scotland's continued EU membership with a Yes vote' in Edinburgh's Parliament Square, Edinburgh Scotland, September 9, 2014. There is just 9 days left before voters go to the polls to vote yes or no on whether Scotland should become an independent country.